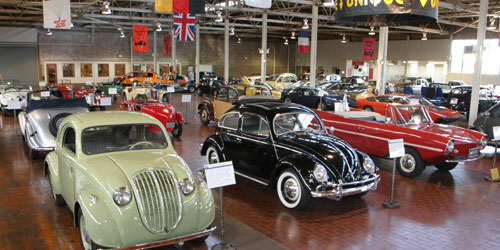 Lane Motor Museum features 150 unique cars and motorcycles and is home to the largest European collection in the U.S. The vehicles date from the 1920s all the way up to modern day and feature a varied collection of microcars, amphibious vehicles, military vehicles, alternative fuel vehicles, prototypes, one-of-a-kind vehicles and motorcycles. At Lane Motor Museum visitors are introduced to a broad variety of vehicles from Europe, Asia, and North and South America. Engineering, politics, geography, and economics are a few of the factors which have shaped vehicles throughout history. This is a working museum with the goal being to maintain all vehicles in running order. SIGN UP FOR BRAKING NEWS!